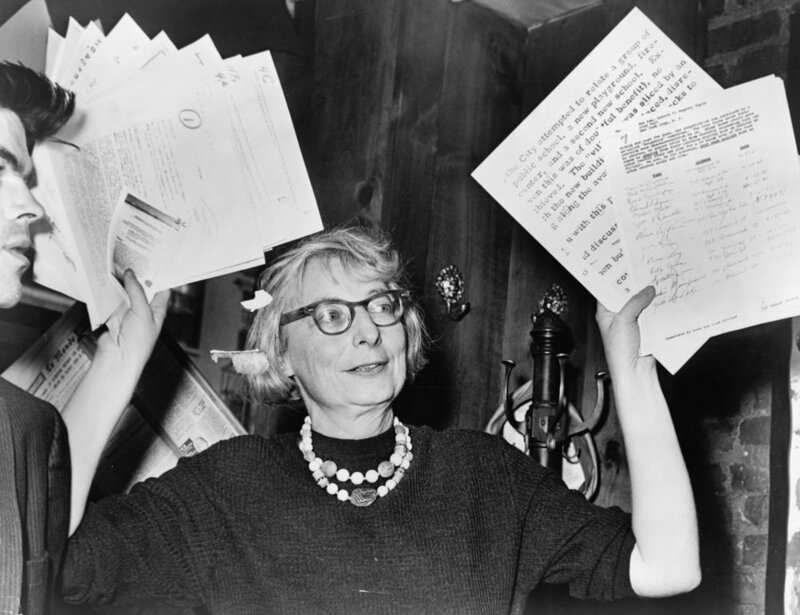 Citizen Jane is a love letter to NYC and an apologia to the uninitiated. Both a cautionary tale and an homage to the humanity which is the heartbeat and soul of the city, It embraces it completely - the good, the bad and the messiness in between. Largely based on the landmark book written by Jane Jacobs, The Death and Life of Great American Cities in 1961 which elucidated the anatomy of a city in ways that flew in the face of the conventional wisdom and prevailing practices. This was taking place against a backdrop of aggressive urban renewal schemes being undertaken on a massive scale by the authority of the increasingly powerful master builder, Robert Moses. He had immense political and financial influence which allowed him almost unchallenged opportunities to implement his sweeping “upgrades” toward a theoretical ideal of perfection. The devastation to property and disruption to communities was an unavoidable byproduct - collateral damage, in his view. Moses was a believer in the LeCorbusier school of urban utopianism which entailed re-engineering the way people lived and worked toward an orderly efficiently-functioning model. Jane Jacobs had the polar opposite view of cities. As a resident of the West Village in New York and a keenly sensitive observer of city life from the street level, and a witness to the devastation of entire neighborhoods by brutal bifurcations of multi-lane expressways and the erection of hulking soul-destroying high rise housing complexes, she was spurred to articulate her view of cities. In her view a city is an organic development, like a landscape with connectivity which cannot be ignored. She was like a holistic healer who absolutely understands the patient and it’s uniqueness and can clearly make the case against the city planners and theorists who were intellectually attempting to resolve its ills while ignoring its reality. Moses himself referred to blighted neighborhoods as cancerous tumors which must be removed in the service of healing. We know how often the whole organism is killed by the treatment. Wonderfully narrated, it chronicles her background as a writer and journalist and accidental activist. Anything but the “local housewife” as her detractors described her, she had written for a respected architectural magazine for years and she wrote most eloquently. Her most salient talent was her ability to articulate her observations and conclusions. Tough, tenacious and passionately engaged, she was able to rally support and speak truth to power and finally end the tyranny of Robert Moses’ relentless efforts to reshape New York City into his inhospitable vision. It is a genuine David and Goliath story and a heartening one at that. Jane Jacobs is a kind of regular person/superhero - fearless, intimidated by no one and a worthy role model as a change agent. Matt Tyrnaur has made the film that she deserves.